Camouflage.ca introduces the best collection of survival knives at a really amazing price. 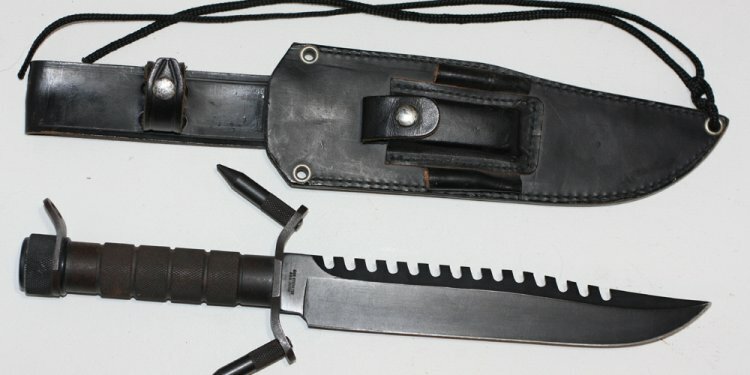 As a basic survival tool these knives come handy during trekking, camping and other situations where access to the basic amenities may be difficult. As they are meant to be a survival tool, these top survival knives are manufactured from the best quality materials available in the market. When it comes to camping survival these knives are your best friend. The unique design gives the product a different look. Camouflage.ca offers an array of survival knives and you can easily make a choice according to your own requirement. The products that we offer include Exclusive Survival Harpoons Triple Knife Set with Sheath, Cold Steel Survival Edge Black Handle Version, Ontario 499 Air Force Survival Knife, Ka-Bar 2-1249-9 Kukri Machine, Cold Steel SRK Survival Rescue Fixed Blade Knive - 38CK, United Cutlery Bushmaster Survival Knife, SCHF3 Schrade Extreme Survival Fixed Blade, Schrade Extreme Survival Serrated Drop Point Fixed Blade knife and other types of knives. You can have a unique shopping experience with us as we offer FREE shipping on orders above $99.